In 2015, when hoverboards became the toy of the celebrities, it was a device that was going to be bought by everyone on the planet. But just as manufacturers became excited about hoverboard’s popularity, hoverboards started exploding. Most of these devices caught fire while charging. Some even caught fire while idle. Amazon and Target suspended the sales of hoverboards on their websites. As a result of explosions of hoverboards, there was widespread panic. An unsafe product, no matter how great or how popular, is not viable for sale to the general public. Hoverboards were on their way back to extinction just as fast as they gained popularity. There was a big problem with hoverboards. The batteries have been overheating and catching fire. But that was not its biggest problem. The biggest problem hoverboards had was the lack of a safety standard for the product. Due to the Popularity of hoverboards, many companies, especially in China, created copies of hoverboards as fast as they could. With little regard for the safety of the products. They were only trying to meet the high demand. Demand was so high that by the end of 2015, hoverboards have made a sales of almost $1 billion. Since there was no safety standard, there was no bar for minimum quality of the product. Then came to Underwriters Laboratory. Underwriters Laboratory has been certifying individual parts like batteries and chargers. But this gave no information on how the parts will work together. As a result of these new safety standards, hoverboards became safer to ride. Only hoverboards safe enough for users had the UL 2272 certification and users could always watch out for that when buying hoverboards. In this post, I’ll be talking about 10 new hoverboards made in USA that are safe to ride without fear of explosion. Skque is a company based in California. In the Skque X1/l series, there are 10 hoverboards. All these 10 hoverboards are UL 2272 certified which means there is no risk of an explosion while charging or while in use. These hoverboards are differentiated by their wheel size, color, and whether they have Bluetooth functionality. The hoverboards with the smallest wheel size in the series have 6.5-inch wheels. For the non-Bluetooth 6.5-inch versions, there are black, blue, red, and white colors. These versions also have no LED lights in their wheelhouse. The Bluetooth 6.5-inch versions of the hoverboard come in the chrome blue and chrome silver colors. The non-Bluetooth version weighs 26 lbs while the Bluetooth version weighs 25 lbs. The non-Bluetooth version is also wider with a width of 26.5 inches while the Bluetooth version has a width of 25.5 inches. But even the smallest width is still wide enough for anyone to conveniently place their legs. There are 3 hoverboards in this series with 8-inch wheels. They come in different colors: black, blue and red. The black and blue versions have similar designs to the 6.5-inch wheel hoverboards while the red version has a similar design to the 10-inch wheel hoverboard. The black and blue models have Bluetooth and LED lights on top of their wheelhouses. The red model has a totally different design to the black and blue models. The red model has a smaller wheelhouse with no LED lights on the wheelhouse. If you prefer riding your hoverboard on rough terrains, then you should go for the 10-inch wheel Skque hoverboard. It comes in red color. It has LED lights in front of the hoverboard, underneath the foot pad. The lights form a curve that makes it look beautiful. With a width of 25.6 inches, the hoverboard is wide enough to accommodate your feet during a ride. It is a bit heavy though with a weight of just under 29 lbs. Children may have issues with it if they have to carry it over a long distance. Apart from these major differences, the Skque X1/l series has the same specifications under the hood. The hoverboards have 42000 mAh batteries that can be charged within 1-2 hours. This is fast for a hoverboard. On this single charge, your hoverboard can cover a distance of 20 km at a maximum speed of 12 kmph (7.5 mph). These hoverboards can support a maximum load of 264 lbs (120 kg) which means most adults can use them. One other point where these hoverboards vary is their prices. The red non-Bluetooth version goes for a price of $307.48, the black $308.81, the blue $312.50, the white $319.42. Both colors of the 6.5-inch wheel Bluetooth model goes for $424.99. The black 8-inch wheel version goes for $432.60, the blue $399.99, and the red $403.74. The 10-inch wheel red version goes for a price of $455.03. There are many reasons the Swagtron T580 is a popular hoverboard. It has a sleek design and it is also relatively cheap when compared to similar hoverboards. Despite its low price, the Swagtron T580 also has Bluetooth which means you can enjoy your favorite songs while taking a ride. Swagtron T580 has the UL 2272 certification for electrical safety. There is no risk of an explosion while charging this device or while using it. Swagtron is located in Indianapolis in the USA. The Swagtron T580 comes in 3 colors: black, blue, and red. It is also light at a weight of 20 lbs (9 kgs) which means it can be easily carried by children. It has 6.5-inch rubber tires that is good for smooth surfaces but may suffer in a rough terrain. T580 has a width of 22.5 inches which is comfortable for any rider. It can support a maximum load of 220 lbs (100 kg). The Swagtron T580 has a short charging time of 90-100 minutes. You can charge this hoverboard even if you’re in a hurry to go somewhere. With a single charge, T580 can travel up to a distance of 8 miles at a maximum speed of 7.5 mph using 3-speed modes. It has apps for both iPhones and Android devices. With this app, you can change modes, access map functions, and check battery levels while taking a ride. Swagtron T580 does well on hills as it can climb inclines of up to 30 degrees. It has LED lights which makes riding in the night possible. The black model of Swagtron T580 costs $199.99, while the blue color costs $248.18, and the red costs $219.99. Razor Hovertrax 2.0 is one of the most popular hoverboards you can find in the market today. This is due to the quality of the product and the fact that most users of the hoverboard are satisfied with it. Checking the user reviews will tell you this. Razor is also committed to safety as it was one of the first companies that got the UL 2272 certification. Razor is located in California, USA. With its 6.5-inch wheels, the razor hovertrax 2.0 moves well on the smooth surface. Hovertrax 2.0 weighs 27 lbs which is a bit heavy for children. It has a width of 24.5 inches to accommodate your legs conveniently. Although the hovertrax is recommended for users 8 years and above, it can be used easily by users as old as 60 years. It can support a maximum weight of 220 lbs (100 kg) and if you’re carrying a bag, you have to remember it’s part of the load. This beautiful hoverboard has LED lights. It has a charging time of 4 hours. This falls on the longer side and it is recommended you charge it after use. With a fully charged battery, its 350-watt motors enable it to ride continuously for 60 minutes at a maximum speed of 8 mph (13 kmph). This time could be reduced if you stop and start the hoverboard while riding. The hovertrax 2.0 comes in 5 colors: blue, black, yellow, red, and white. You can get the Hovertrax for a price of $299.99. 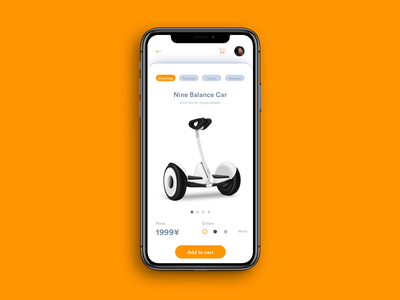 SagaPlay is a company based in Silicon Valley and its aim is to revolutionize the technology in the balance board industry. The SagaPlay F1 is one of its product to fulfill this aim. It has a 6.5-inch wheel which is suitable for smooth surfaces. It has LED lights under the foot pad to make it look more beautiful. It weighs only 22 lbs (10 kg), even a child can carry this easily if there is need to carry it around. SagaPlay F1 can support a weight of up to 220 lbs (100 kg). With a width of 24 inches, it is convenient to place your legs on while riding. What if you’re riding SagaPlay F1 and the cloud gathers or you go through a puddle? You have nothing to worry about as the SagaPlay F1 is IP56 certified for solidness and water resistance. With its fast charging technology, you can charge your hoverboard in 2 hours. This single charge can last for over an hour of riding and a distance of 9 miles. SagaPlay F1 is also capable of climbing inclines as steep as 15 degrees. The black color version of SagaPlay F1 goes for $299.99 while the red version goes for $269.99. The first thing to notice about the Jetson V8 is its 8.5-inch all-terrain tires. Jetson V8 is not only good for smooth terrain but especially useful if you have plans to ride your hoverboard in a rough terrain. Apart from the big tires, Jetson V8 is also wider than many hoverboards at a width of 32.2 inches. It weighs 35 lbs which are on the heavy side. It has a short charging time of 1.5 hours. With this single charge, it can travel up to 12 miles at a maximum speed of 10 mph. It can carry a load of up to 231 lbs. It has an app that can be used to view your route history, check your battery life, and change riding modes. It has LED lights and braking lights for better movement in the night. And another beauty of the Jetson V8 is that you can enjoy your favorite songs as you ride your hoverboard. Jetson V8 goes for a price of $499.99. Hoverzon S has beautiful 6.5-inch wheels with ‘H’ at the center. It has LED lights which makes it beautiful especially when you ride in the night. Hoverzon S comes in 3 colors: blue, garnet, and white. It has 2 riding modes and with a single charge can move a maximum distance of 11 miles at a speed of up to 8 mph. With a width of 25.8 inches, it is convenient to place your legs. It weighs 27.3 lbs and can support a weight of up to 220 lbs (100 kg). Hoverzon S has the UL 2272 certification for safety. The blue color version of Hoverzon S goes for $304.09, the garnet for $292.89, while the white goes for $249.00. EPIKGO is another hoverboard that caters to users who may ride their hoverboards in rough terrains. EPIKGO has an 8.5-inch all-terrain alloy wheel for tough road conditions. Not only can EPIKGO ride on rough terrains, with its IP56 certification for solidness and water resistance, it can also ride in puddles. It has a width of 23 inches and weighs 30 lbs which are as light as you can expect this hoverboard. With a single charge, the EPIKGO self-balancing scooter can last for over an hour and over 10 miles. It is suitable if you have to climb slopes as it can climb inclines as steep as 18 degrees. EPIKGO has the UL 2272 certification and you have no fear of explosion using this hoverboard. The EPIKGO comes in 3 colors: elite silver rose gold, and space grey. The elite silver version goes for a price of $699.99, rose gold for 699.99 while space grey goes for $599.99. The Powerboard by Hoverboard has a 6.7-inch wheel and a weight of 25 lbs. You can charge the battery full in one hour and with a single charge, it can last for 6 hours. This is one of the highest for a hoverboard. It can move at a maximum speed of 10 kmph while supporting a weight of up to 220 lbs (100 kg). It has a one year warranty. It has the UL 2272 certification which makes it safe for any user while riding it or charging. This hoverboard is not waterproof so you need to think twice about going through that puddle if you’re riding on this hoverboard. With its small wheel, it is unsuitable for use in rough terrains. It has LED lights to make your ride possible in the dark. Powerboard by hoverboard has many color options. The black color goes for $149.99, white for $149.99, blue for $139.99, and red for $149.99. Swagtron was the first hoverboard brand to attain the UL 2272 certification. You can use your Swagtron T1 without fear of explosion. It weighs 25.3 lbs which are a medium weight for a hoverboard. With 23-inch width, it is wide enough to make your legs comfortable while you take a ride on it. You can charge the Swagtron T1 within 1 hour. With the single charge, it can travel up to a maximum distance of 11 miles and a maximum speed of 8 mph. It can support a load of up to 220 lbs (100 kg). In fact, it is recommended for users of all ages. It has 2 riding modes: learning and standard. It has a 1-year limited warranty. Swagtron T1 comes in 6 colors: black, blue, gold, pink, red, and white. The pink color version costs $259.17 while the other colors cost $299.99. The major difference between Segway miniPRO and other hoverboards is the knee control bar. miniPRO has 800-watt engines that can achieve a maximum speed of 10 mph. With a single charge, it can last up to a distance of 14 miles. Segway, however, says this depends on the weight of the rider, a degree of incline for riding surface, an average speed of the travel. The miniPRO has the Ninebot app. This app allows you to adjust light colors, modify safety features, upgrade firmware, run vehicle diagnostics, and remotely command your miniPRO to move. You can also use this app to lock the miniPRO with an anti-theft alarm that triggers a phone alarm if someone tries to move your hoverboard. It has LED headlights and taillights which ensures you can ride in the dark. It has a 10.5-inch wheel and can carry a maximum load of 220 lbs (100 kg). With a width of 34 inches, it is comfortable for any rider. It weighs 37 lbs though which is heavy if you have to carry it around. It is recommended for use from age 16 to 60. It has the UL 2272 certification which makes it safe while riding or charging. The Segway miniPRO goes for a cost of $499.99. This list consists of hoverboards made in the United States. These hoverboards have the UL 2272 which ensures that any user riding on them is safe from explosion. A few years ago, American Airlines like Delta, American, Hawaiian, JetBlue, etc. banned hoverboards on their flights. To restore order, the U.S. Consumer Product Safety Commission (CPSC) recalled over 500,000 units of hoverboards. But that has all changed. If you have been thinking of buying a hoverboard, this is the right time. There are many beautiful choices that give you value for your money spent.